the König Monster is the special feature of this episode (and JunJun‘s favourite unit). It first appeared in the PS2 game Macross VF-X2. 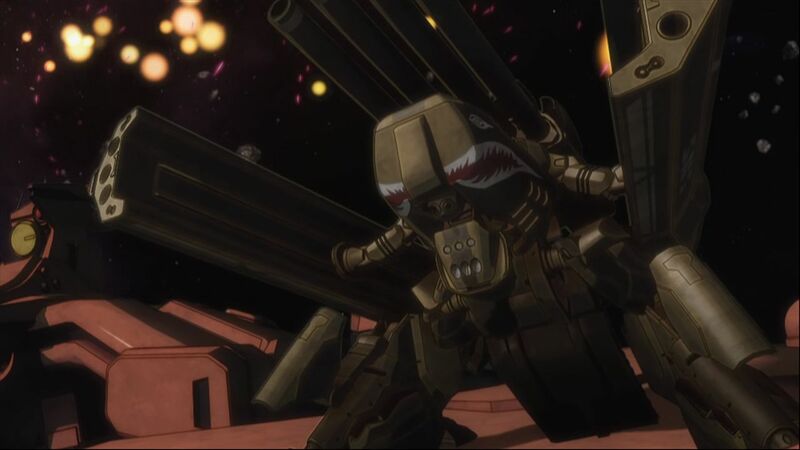 In the first Macross, there was a different “Monster” (can’t remember its name), but it didn’t transform. Fukuyama: “And it’s interesting to see how some people’s names change when you haven’t worked with them for a while”. Nakamura: Well, but that happens, doesn’t it? The clothes are CG, as is the stage setting. Fukuyama: but isn’t it a good thing? She doesn’t have to get changed. Kamiya: But this kind of thing, let’s go get them, with music and dogfights, doesn’t it just make you go “moe”? Fukuyma: Well, for me, I go “moe” over using ghosts – ‘cos I really like Plus. Nakamura: It’s interesting to see how everyone has different fighting styles. (JunJun: true true) E.g. Luca uses reconnaissance units, Michel is a sniper, so what does Alto do? Fukuyama: he barges in. Like, in a shooting game, he wouldn’t use beams (because that’s Mihael) but just keeps shooting single shots in quick succession. Nakamura: And Ozma’s a balanced fighter – everyone has their role, so it’s really interesting to watch. Nakamura: After all, didn’t (Ray) Focker die around here? or was it later, like after episode 10? Nakamura: well, he died, like it was a battle death [well, died from injuries sustained]. 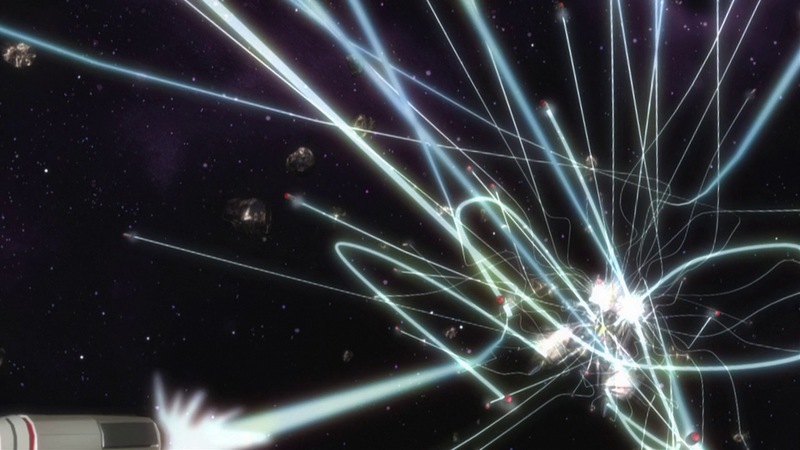 If we think about it, this was the first large fight, so I thought it might be dangerous for Ozma. Kamiya: This is so damn cool. Fukuyama: but Luca doesn’t really have that many lines, so I’m like “wow cool!” anyway (during the recording sessions). Nakamura: And at this point, the coolest person is Kuwashima (Houko – Kanaria). Fukuyama: and after this, the Macross Quarter joins in too, right? Fukuyama: well, in this kind of venue, maybe she feels a bit uncomfortable in the dressing room, so she gets out and wanders elsewhere. Nakamura: even though everyone is calling for her? Fukuyama: this girl…she didn’t turn off her mobile – what bad manners! Fukuyama: One question I have about the Quaedluuns – just how far does the inner compartment extend? Kamiya: Good question. Hm…no idea. Fukuyama: It’s around the size of Klan and the others when they macronise – so it’s something like a powered suit, maybe?So just how far do their actual arms and legs extend? Nakamura: it seems like they sit in it, doesn’t it? Fukuyama: yeah, it’s not like their arms and legs stick out. (yeah…) Well, it’s just something I’m curious about. Kamiya: it’s like a powered suit but not, huh? Nakamura: when they release a toy, if we buy it, perhaps we’ll find out! Kamiya: true true, it happens a lot, you find out how something works when you buy the toy. Fukuyama: hm…looks like I’ll die pretty quickly. Nakamura: ah, so the green one only lasts until here, huh? Fukuyama: and everyone’s talking quite calmly! Nakamura: and it’s the yellow one who said it! Fukuyama: “Number” – we don’t really hear that used anymore, it has an 80’s ring to it. Nakayama: It seems like (you?) really like that era, huh? 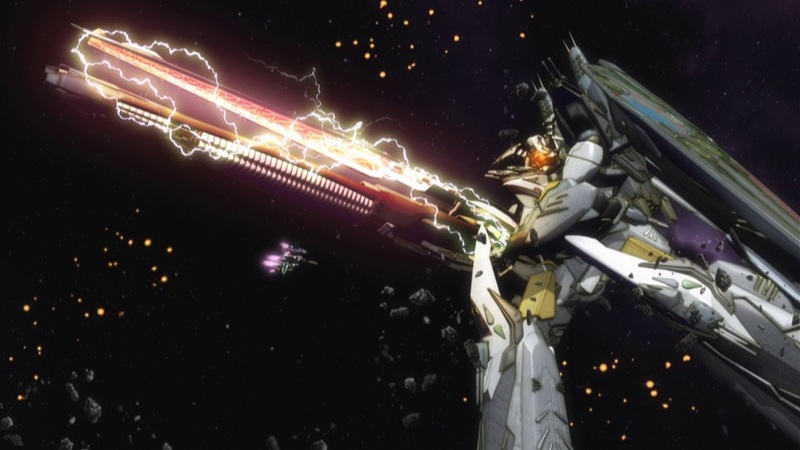 Kamiya: the VF-27, damn cool! Kamiya: How reckless, infiltrating the enemy ship in his first battle (laughter) it is his first battle, right? Nakamura: And he managed to do it. Nakamura: But he had to, Luca’s been eaten! Fukuyama: yes, it’s certainly quite forgettable, but he was eaten. Fukuyama: And the captain, he’s meant to have quite a battle history, right? I’m a bit curious about it. Nakamura: yeah, at this point, we’ve had no info, we haven’t delved into his history. 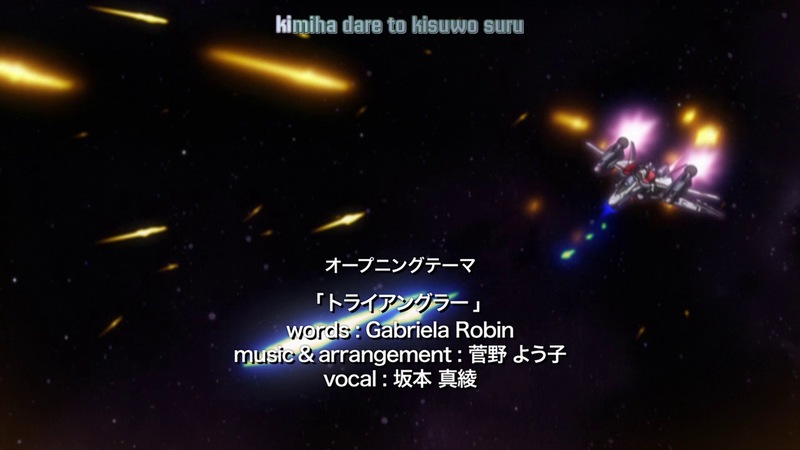 If we think about it, Macross goes all the way back to the first series, right? From the captain’s age, perhaps he would have been around in Macross 7. Nakamura: Perhaps he was in the army, and went through a lot. 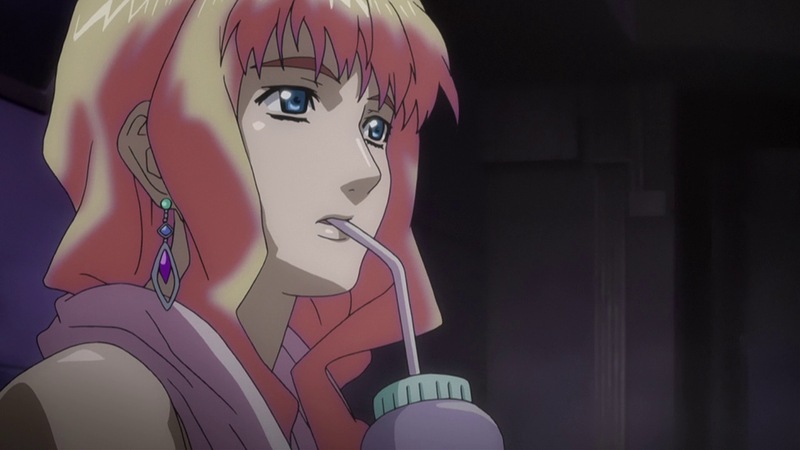 If we ask Kawamori, he’d probably say he’s got such-and-such a background, as he did many times at drinking parties. Like, ‘we won’t depict it, but there’s this bit or that bit of background’. Nakamura: He even mentioned that thing about Sheryl, though he said it won’t be covered in the anime. Nakamura: though he might, if he changes his mind. Fukuyama: and when this volume goes on sale, and people listen to this, someone will probably ask, like they’d write a letter or something. Fukuyama: into someone who’s younger than us. Nakamura: Ozma, perhaps? I laughed when I first received the character data. Like, we’d have a description for Michel as Alto’s rival – for Bobby, it’s that he had a crush on Ozma, so I was like “huh! ?, Really, this guy? !” but when you look at Ozma’s blurb, there’s nothing about Bobby. That was really interesting. Kamiya: so we should draw an arrow for him. Nakamura: saying ‘is afraid of’ or something. Nakamura: but it wasn’t actually depicted, was it? That Bobby likes Ozma? Kamiya: he said once “my precious person’s little sister”, well, not clearly/explicitly but he said it. Kamiya/Fukuyama: more than that, right? Kamiya: Yeah, what did he come for? Nakamura: and we have the okama, with the Macross Gerwalk. 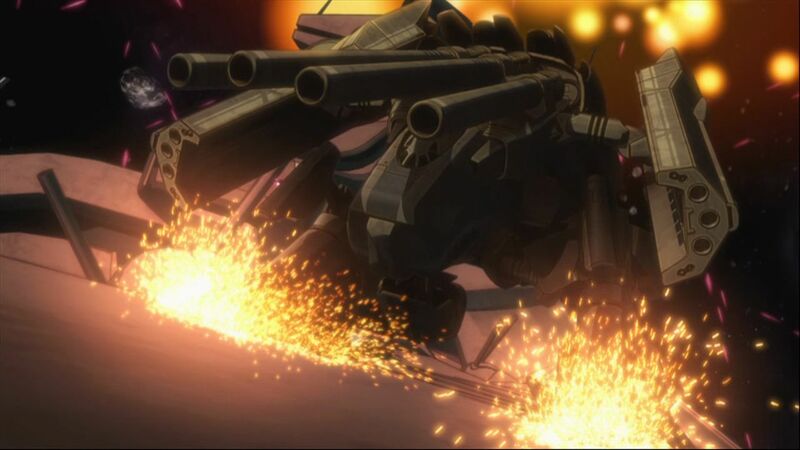 Kamiya: yeah, the Macross Gerwalk, that’s fantastic, huh? Well, since he’s an okama, it has to be something like that. Fukuyama: It’s like 400 metres long, right? Nakamura: it’s apparently a relatively small one! Kamiya: An okama can do it! Kamiya: no rhyme or reason to it. Nakamura: there’s not rhyme or reason to an okama after all. Fukuyama: that’s true, there really isn’t, huh? Kamiya: he’s standing out a lot more than our main character. Nakamura: That main character is also stunned (at the Macross). Kamiya: he’s all over the shop. Fukuyama: here, Bobby’s like, the epitome of man, but normally, he records whilst swaying his back. Nakamura: From that (person) right? Nakamura: Ah, but we can’t say that yet. Kamiya: quite a surprise, huh? Nakamura: though it’s quite a while away. Kamiya: And he lost it so carelessly in the explosion. So what will happen from here? (yeah) Who would have thought it’d lead to that…? Nakamura: and we’re almost out of time. Fukuyama: In these remaining 20 seconds or so, any last words? Fukuyama: then til next time. I wonder who it’ll be? Fukuyama: well, but you’ll be here, right? Kamiya: everyone, next week is going to be rather silly, it’s the one crazy episode.